Neutral colors are perfect to team with any outfit girl. 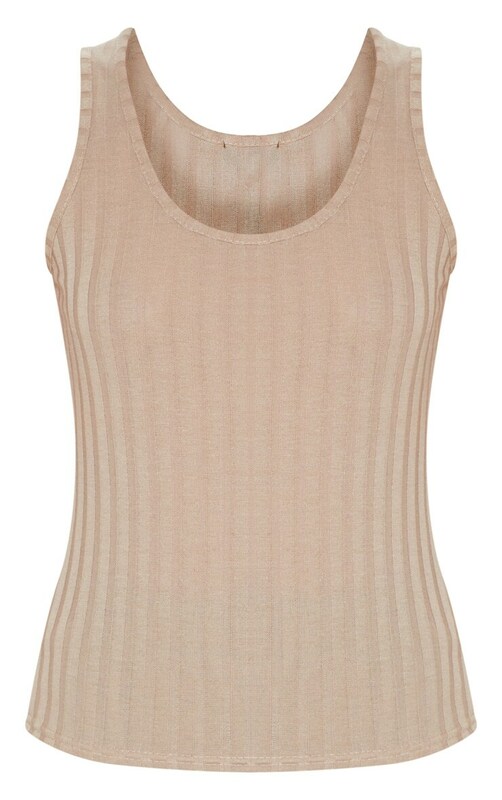 Featuring a stone ribbed material with a scoop neckline and a figure-hugging fit. 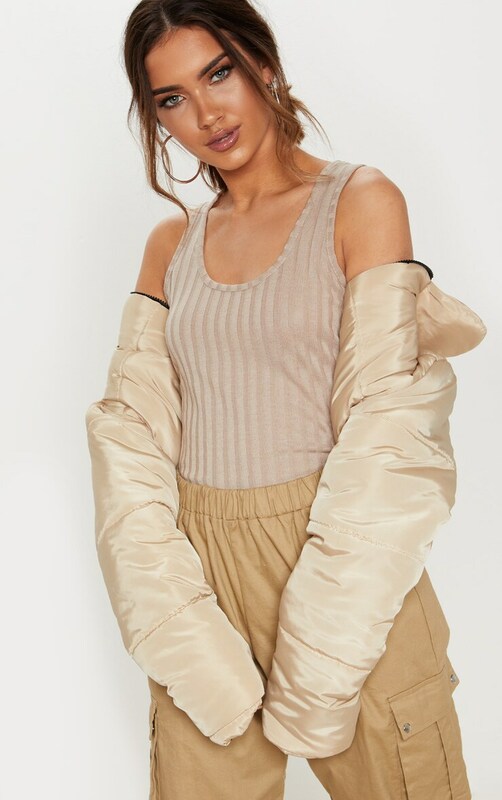 Team this vest with cargo pants and heeled boots for an off-duty look we are loving.